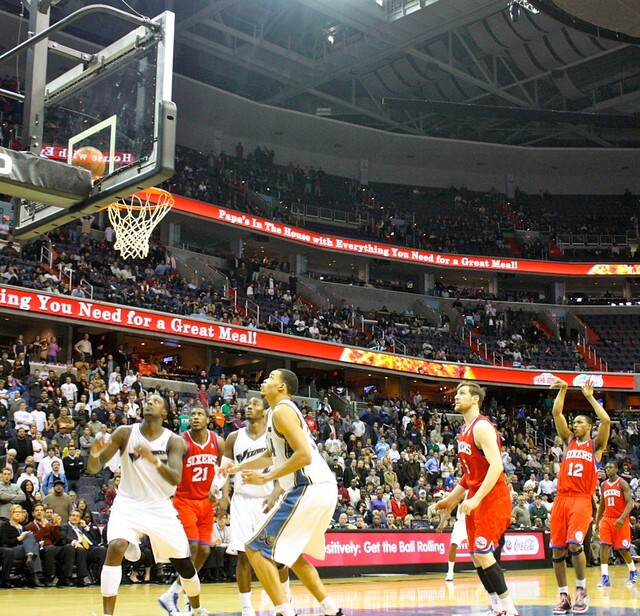 Due to Thanksgiving holiday travel, my pictures from the November 23 Wizards-76ers game are a bit tardy. But considering the Wizards have not won a game since, enduring two embarrassing blowouts in the process, reminiscing a thrilling victory could be a good remedy for Wizards fans. Enjoy. 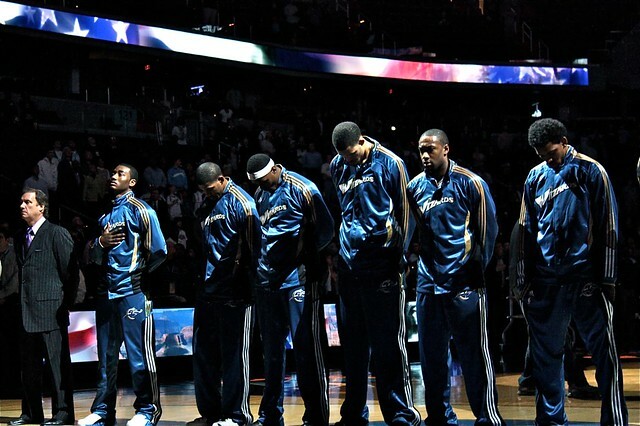 John Wall & Gilbert Arenas stand out during the national anthem. 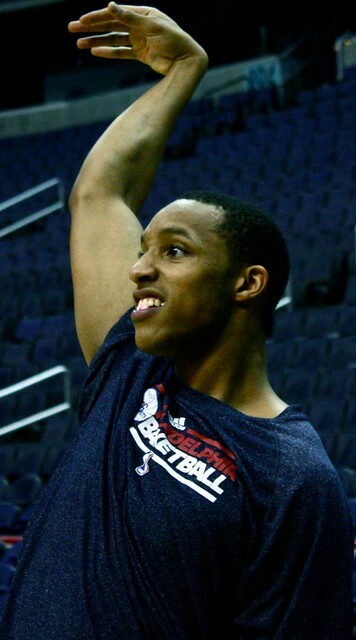 76ers top pick Evan Turner trying to get one of his threes to drop during pre-game shoot around. 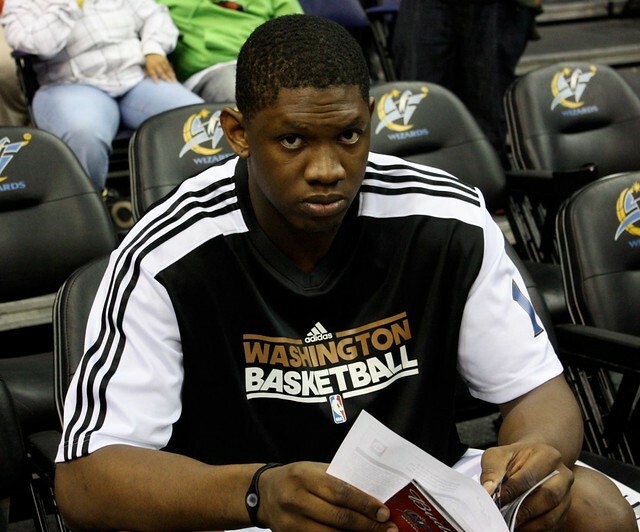 Wizards Rookie Kevin Seraphin is much more jovial to be around than this shot depicts. Seraphin’s English is improving because I did clearly make out his words when he asked me about my favorite Wizards Girl from the game program. 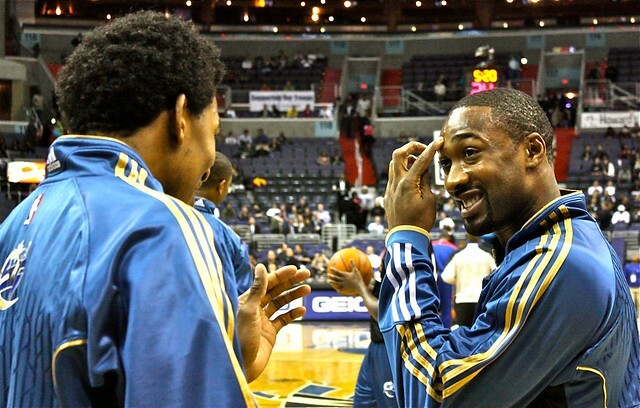 During pregame warm-ups, I over heard Gilbert Arenas tell Nick Young that his tooth fell out. Who knows what that could mean. 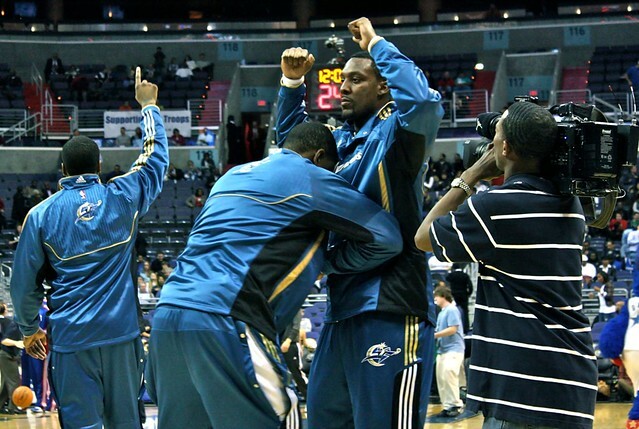 Seraphin gives Andray Blatche a good spirited pat down after pre-game introductions. And yes, JaVale successfully tossed this Jrue Holiday shot. 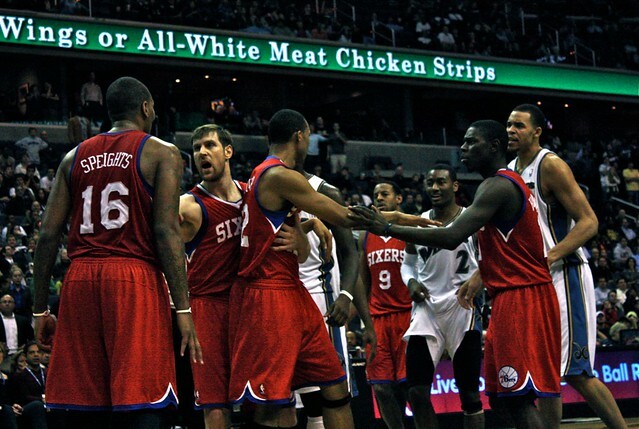 Arenas getting baseline against Spencer Hawes. 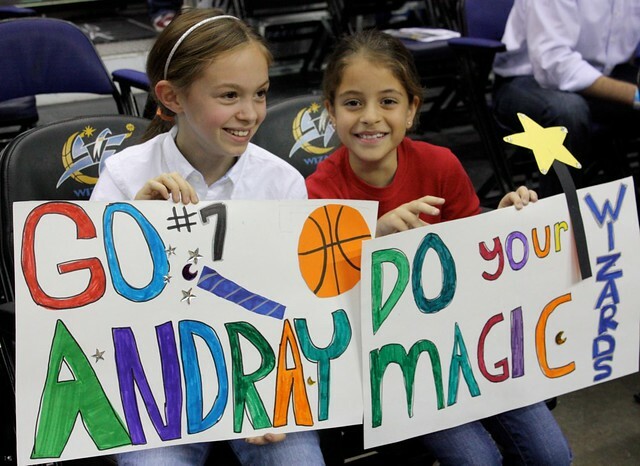 These young Wizards’ fans love them some Dray. Very cute. Yes, that is Nick Young contesting a shot. He seems to be much better at that these days. 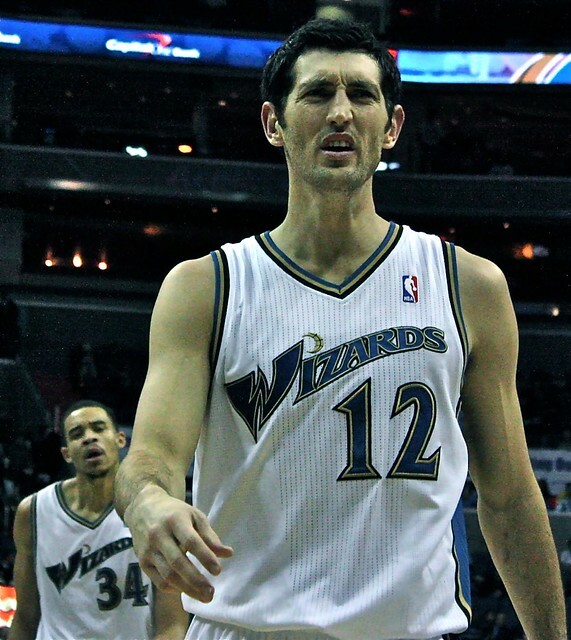 Welcome the Kirk Hinrich face, which is not be confused with the Mike Miller face. Similar to Miller, Hinrich spends a lot time on the floor, but he is far less overtly dramatic with bumps and bruises than Mr. Glass. 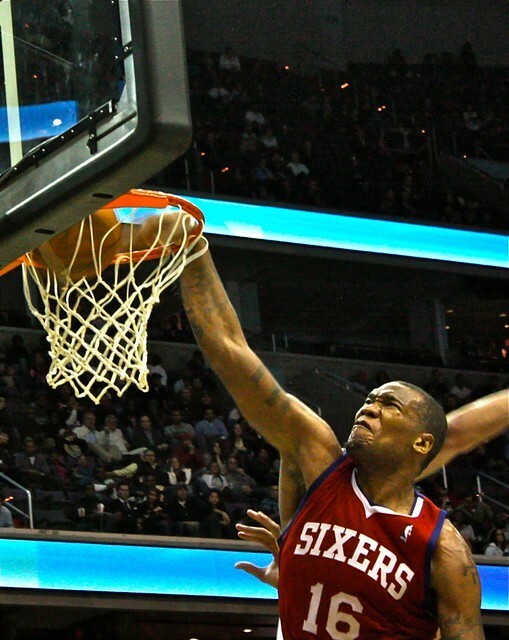 John Wall fouled Turner somewhat hard and 76ers forward Marreese Speights, along with Turner, took exception. A shoving match ensued, and my favorite part is that Wall did not back down to anyone during the whole incident. The fray then debated the merits of wings versus all-white meat chicken strips. McGee purportedly chose wings, Nocioni opted for the chicken strips. The infamous flagrant foul that earned Brand an ejection and subsequent suspension. Speights’s And-1 facial cram was too nasty not to show off. The scrum after Trevor Booker forced, and won, a key late-game jump ball. Up three, eight seconds remaining in regulation, and all Turner has to do is make one of two free throws to ice the game away. This is a picture of him clanking his second straight, which set up the play where Jrue Holiday fouled John Wall’s attempt from beyond downtown … we’re talking Woodbridge, VA deep. 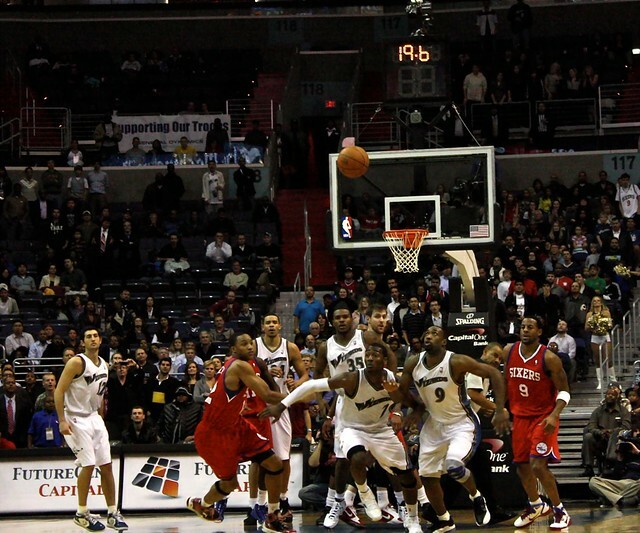 Wall calmly made all three free-throws and sent the game into overtime. 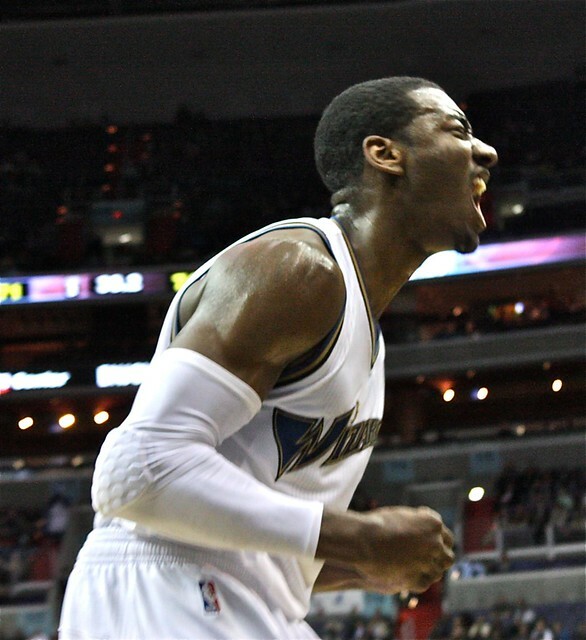 The Phone Booth went bonkers after Young drilled a go-ahead corner three in OT. Arenas golf claps to the fans while Young and Dray celebrate Nick’s clutch shot. BALL GAME! 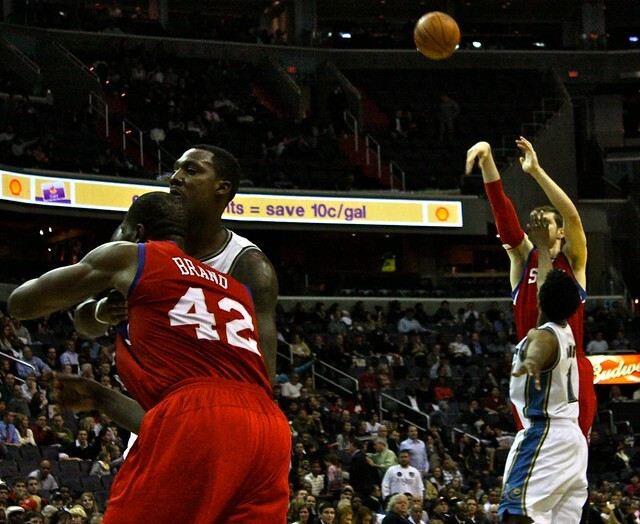 Wizards victory as Philadelphia’s final shot falls short. 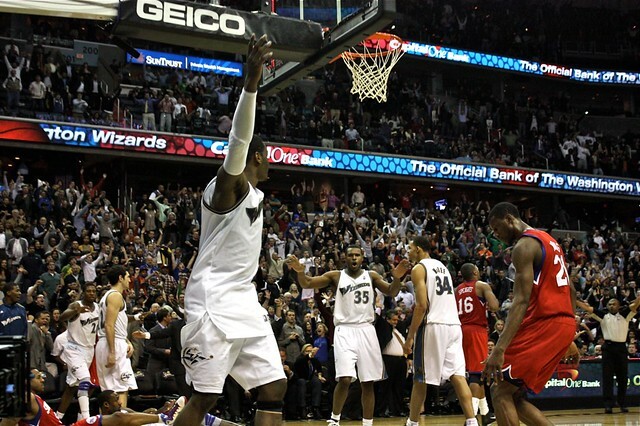 The Boss Man, Ted Leonsis, throws his hands up in celebration way in the background. 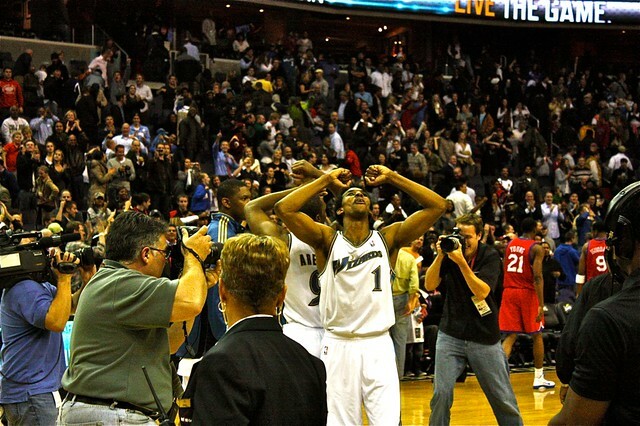 Young and Arenas go to half-court to partake in some type of coordinated jubilation. Young really is one of the most creative sports-dance choreographers that I have ever seen.